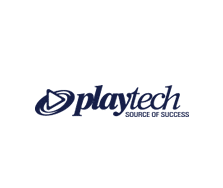 Playtech was formed in 1999 and focuses on providing over 150 operators with their software. As a result, they’ve become the world’s largest publicly traded online gaming software provider. They offer scratch games, a sports betting product, poker and bingo software but are known mainly for their excellent casino product – in particular, their slots. When it comes to slots, you have the Age of the Gods series which have replaced the Marvel titles. They offer you superb graphics, animations and bonus features. All of the Age of the Gods slots are part of their own progressive jackpot network meaning you can win 1 of 4 jackpots too if you’re lucky. Some of the games I recommend include Age of the Gods Fate Sisters, Age of the Gods Goddess of Wisdom and (the best of all) Age of the Gods. There are also many branded slots like The Flintstones, Top Gun, Gladiator, Ace Ventura Pet Detective and Monty Python’s Spamalot. You also have the DC Comics titles including Superman The Movie, Superman II, Green Lantern and Man of Steel – there’s also the Batman series which are based on the 1960s television series. If you’re looking for high variance action, you cannot go wrong with Buffalo Blitz, Sultan’s Gold, Great Blue and Desert Treasure II. On the whole, Playtech offer a lot of slot games with most of them reviewed here at Online-Slot.co.uk. In terms of playing Playtech slots online at online casinos, I would stick to the recommended ones found on this site as many casinos offering Playtech games don’t seem to have the best reputation (due to slow cashouts).